April 20, 2017 Our second last day in Bali.. We will be leaving this paradise tomorrow. 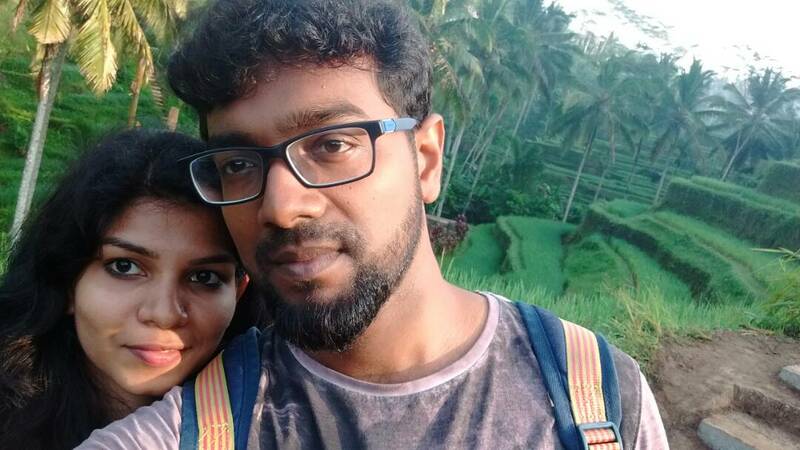 Before that we have couple of places to visit. 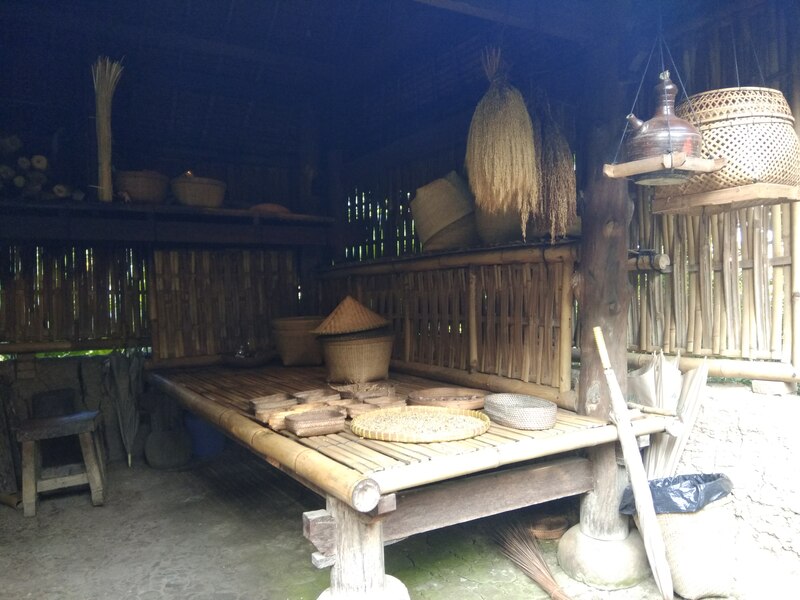 Today’s schedule is to visit Tegalalang rice terrace, a coffee plantation (because hubby insist on tasteing “kopi luwak”, a special kind of coffee☺️) and Goa gajah temple. 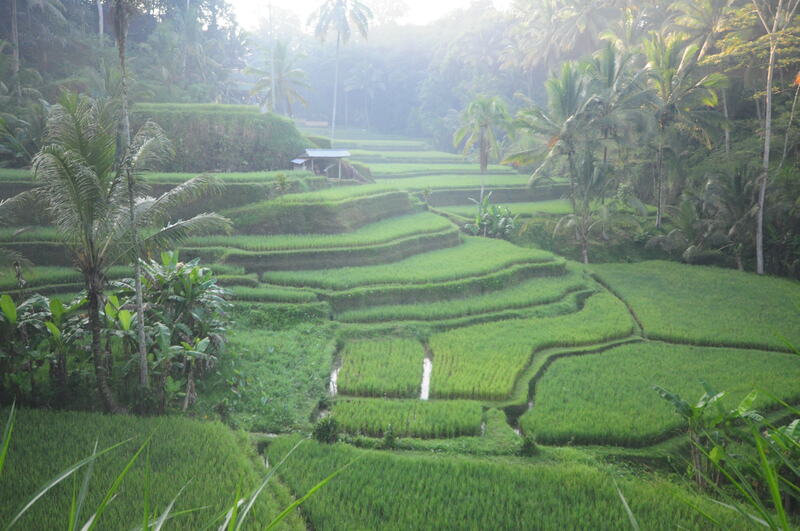 We headed to rice terrace early morning to view the sun rise. We reached the rice terrace by approx 20 minutes ride in a cab by around 5:45 am. 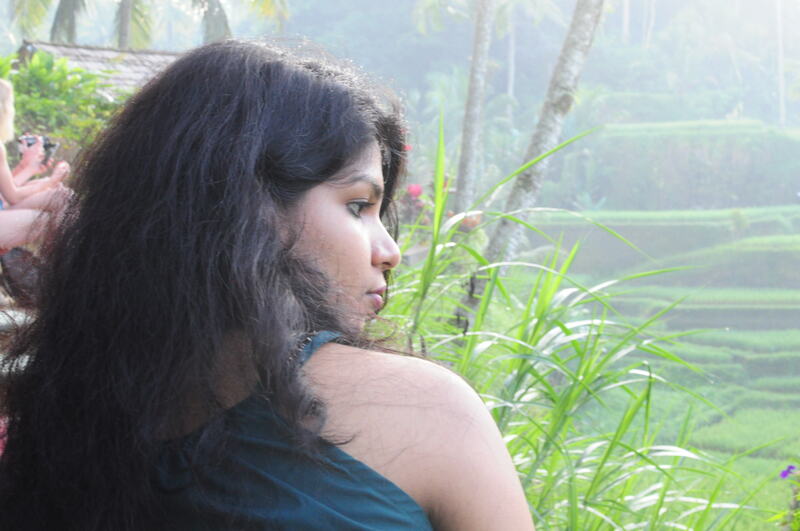 Climbing the field is not a cake walk, but it was all worth..The sun kissed misty paddy fields are a must see view. 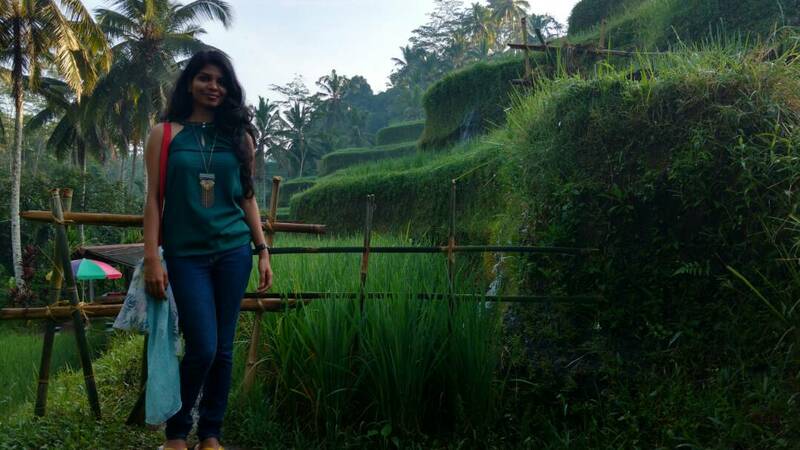 Once the sun is out we climb down the rice terrace and our driver took us to a near by coffee plantation “Bali pulina”. 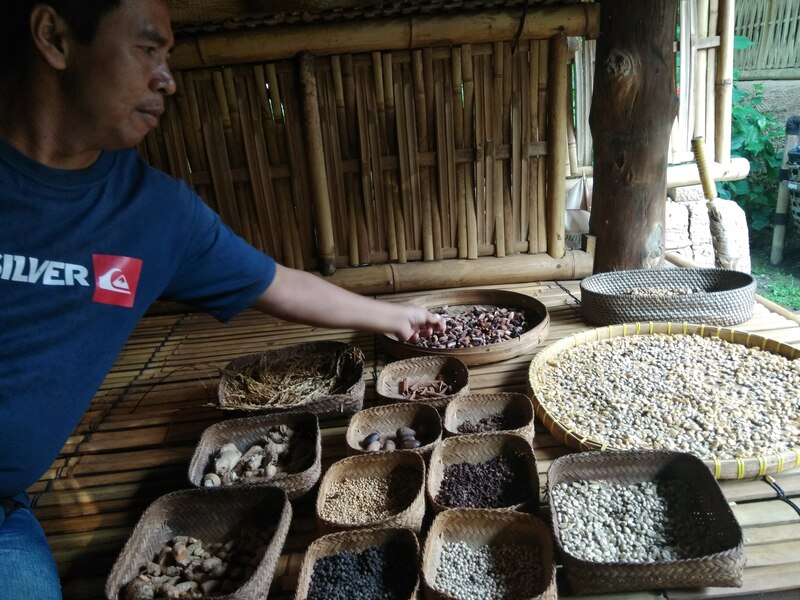 So here comes the main attraction of Bali..”kopi luwak” , it is basically one of world’s expensive coffee made from the partially digested coffee beans from the excretion (Yes… you heard it right😋) of Asian palm civet. 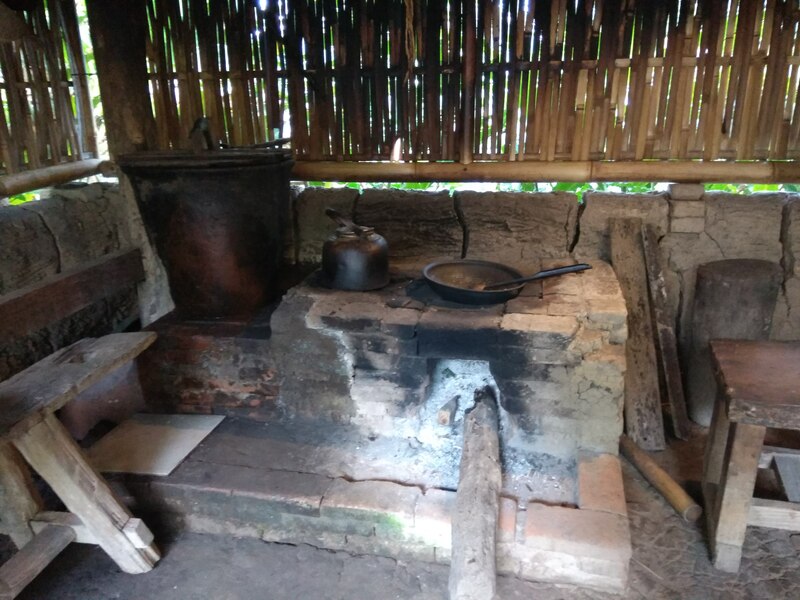 So.. experts claim that civet will only select best quality coffee cherry for its pulpy flesh and the enzymes inside it’s digestive system results in fermentation of the coffee bean which leads to superior coffee flavour. Any way… the plantation have the palm civets enclosed in cages. Our driver told that they are very aggressive , but they didn’t look like ones. 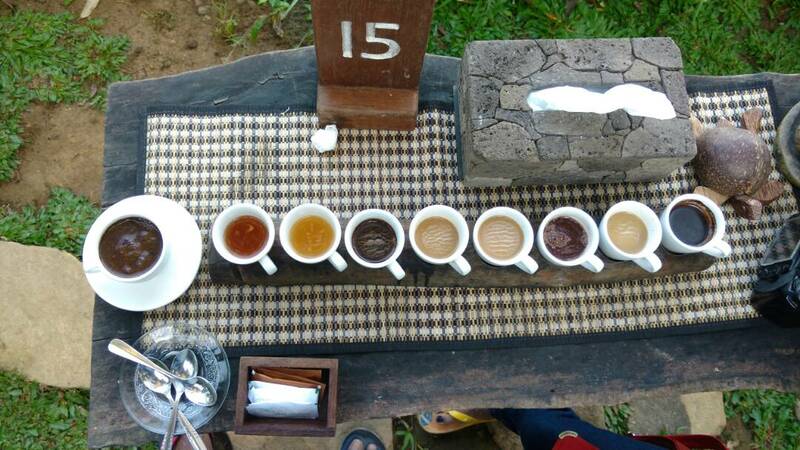 If we buy a kopi luwak coffee, they will give us a coffee tasteing platter full of variety of coffee and tea flavors. We had our cup of the much boasted coffee and to be frank, they taste good. 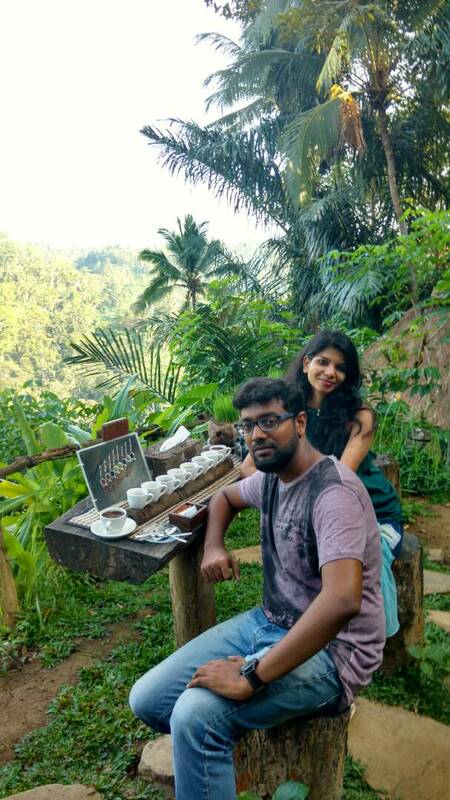 Tasteing different coffees in the lap of mother nature was an awesome experience. They will provide a palmlet which explains each flavor. 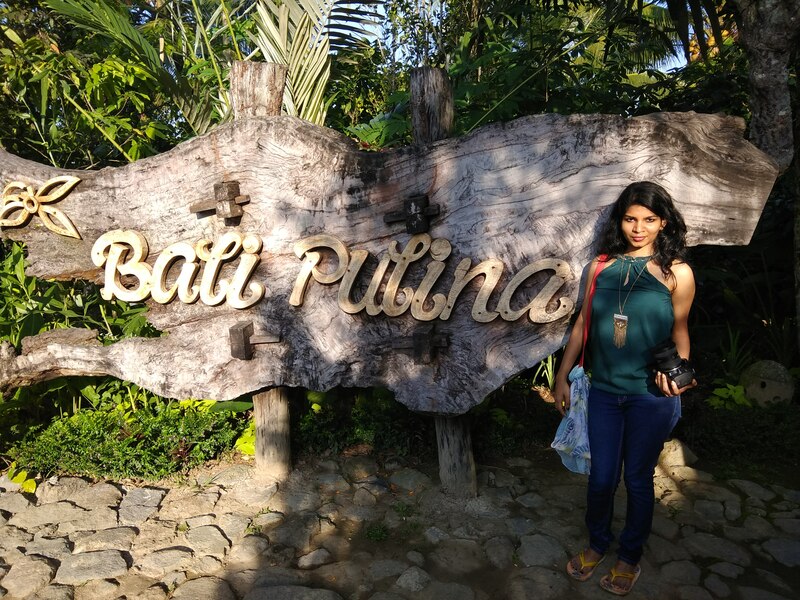 Here is a small video of Bali pulina experience. 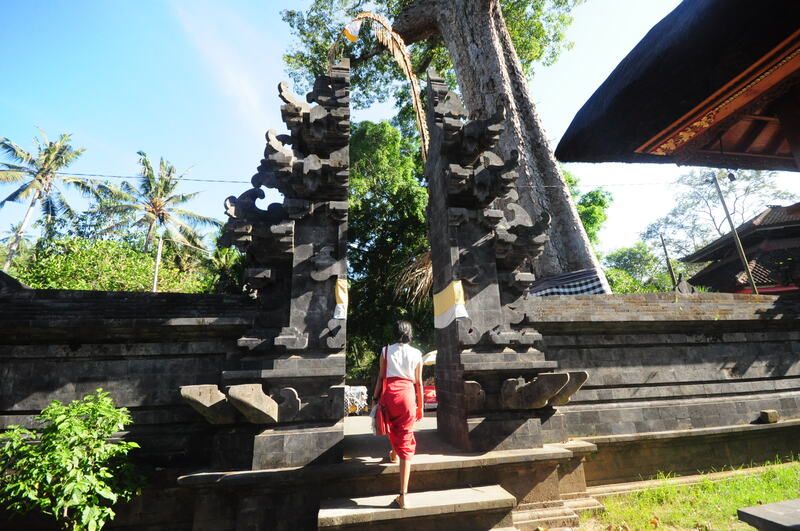 We head back to our guest house and planned to visit Goa gajah temple in the evening. 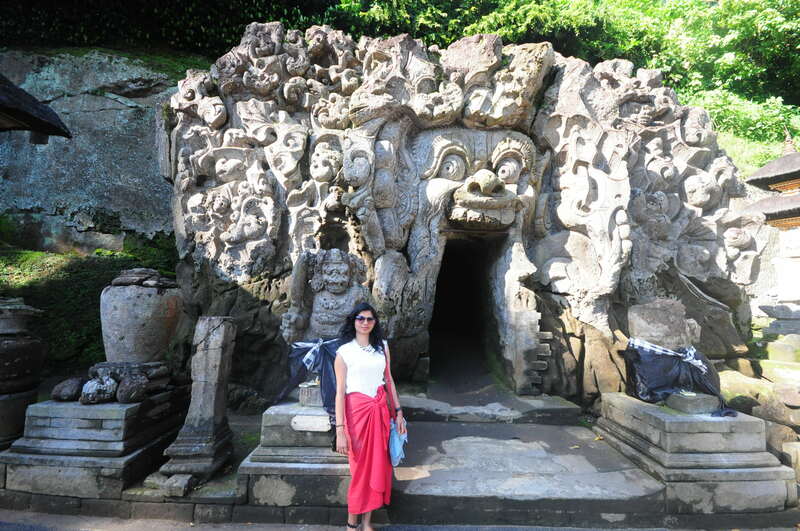 After having lunch and a power nap we went to Goa gajah (also known as elephant cave) which was build in 9th century. Entrance of the cave have various faces encarved. Inside the cave is too dark with some statues of gods.